Fish Smoking is something which every person who enjoys fishing should try. Fish by themselves are nice, but when you start testing different cooking methods and ingredients to use you can come up with some stunning meals. The best thing about Fish Smoking is that it is incredibly cheap to do, and also very good for you. Fish that has been caught and smoked straight away contains a number of vitamins and minerals which are very good for your body; hence why the experts tell us to each more fish! Remember to put your fish in an Ice Chest the moment you catch them, to keep the flesh as fresh as possible. I purchased a Fish Smoker a few years ago now, but it only seems to get used when we catch a big feed of fish! It takes a good hour to smoke the fish, depending on how you do it. The result however, is well worth the wait and effort! Today, you can purchase a fish smoker along with a burner and the required wood shavings for under $50. It’s truly a bargain, even if you only use it once a year. 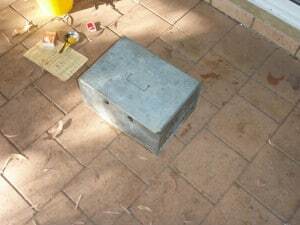 Alternatively, you can knock one up out of old tins or sheet metal in your spare time. What is a fish smoker? 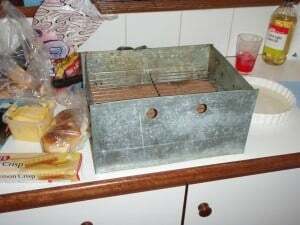 A fish smoker is basically a metal oven which is made of thin sheet. 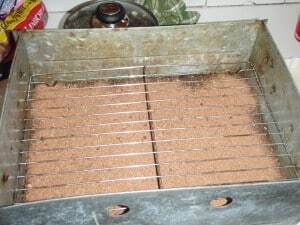 A methylated spirits (or other burner) is usually placed underneath the smoker, and then wood shavings are placed on top of the first sheet. Above that is the fish that you want to smoke, on trays. The burner heats up the wood shavings which in turn creates smoke. A lid stops the smoke from exiting and allows the fish to gain a smoked flavor. Fish Smoking also cooks the fish at the same time as the burner heats the whole smoker up like a normal oven would. You can get a fish smoker quite cheap, delivered to your door! How do you smoke fish? 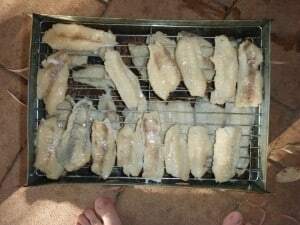 Fish Smoking can be done as a whole fish or it can be done with fillets. I have found the best way is just to fillet the fish and cut the bits into smaller sized pieces and lay them out on the tray evenly. It’s best not to have fish fillets that vary in thickness too much, as some will be undercooked whilst others may be overcooked in the same time duration. You can cook the whole fish and then just eat the meat off the bone, but if you mess it up then it won’t taste as good, and I prefer less messing around when you are hungry! 2) Take some salt water (from the ocean if you can or you can make your own. You need enough for all of the fillets to comfortably sit in to soak) and place a potato in the water (the water is known as brine). Add non iodized salt to the brine and stir it in until the potato floats. 3) Add all of the fillets into the brine, and allow them to soak for 10 – 20 minutes (obviously the longer they sit in the brine the saltier they will taste). 4) Take the fillets out, and shake the water off. 5) Apply a small amount of oil to the fillets and then sit them on the trays. Ensure that there isn’t too much oil as it will drip and splash wood shavings onto your meat if there is too much. You can remove any excess oil with paper towel. 6) Get the wood shavings and sprinkle them onto the metal sheet, ensuring it is covered evenly and not too thickly. Put the trays into the smoker and shut the lid. 7) Fill the burner up to the required mark and then light the burner up. Ensure you follow any instructions about keeping the heat at the right level. 8) Place the burner under the smoker, and let it cook. I have found that moving the burner around underneath the smoker ensures that they cook better. The cooking time varies depending on how much fish you are cooking, the wind in the area and the size of the fish. It will usually take in between 20 – 50 minutes. Try not to open the lid until at least 20 minutes into cooking, and do it quickly. If the fish has curled slightly, and breaks off very easily when you touch it then it is ready. If you open the lid too often then the smoke will get out and you will only have half smoked fish! You can eat the fish when they are still hot, or put them in the fridge and allow them to cool. There are a number of different ways to smoke fish, and different ingredients that you can also throw in. Many people also put sugar into the brine, to sweeten the fish up a little but you don’t really need it. Experiment with the time needed for cooking, the strength of brine, the oil that you use, the type of wood shavings and the type of fish that you use. Some fish taste amazing whilst other smoked fish will not taste that fantastic. 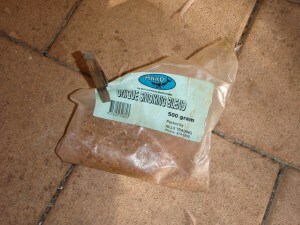 Smoking fish; what wood shavings to use? Above all, Fish Smoking has to be the best way to get your catch ready for a hungry crowd! Fish Smoking is simple, cheap and well worth a shot, but don’t be afraid to experiment a little. So, this post was a good read! funtastic thank you very much for the info? Glad it helped mate. What flavour wood shavings are you using?